Golden Globe-winner and Oscar-nominated film Zootopia ranks in the 50 Best Kids Movies on Netflix! In honor of the upcoming Oscars, we are featuring the Oscar-nominated animated movie Zootopia in our ranking of the 50 Best Kids Movies on Netflix. Zootopia was added to Netflix in September. The film was the first new Disney movie to be added to Netflix with the new Disney-Netflix streaming deal. Since September, Netflix has added some of the best Disney movies of 2016 including Captain America: Civil War, The Jungle Book, and Finding Dory. Jared Bush and Phil Johnston wrote the script for one of the best Disney movies of 2016. Bush, also directed the movie along with Byron Howard and Rich Moore. Ginnifer Goodwin, Idris Elba, Tommy Chong, J.K. Simmons, Jason Bateman, Jenny Slate, Nate Torrence, Alan Tudyk, Octavia Spencer, and Shakira star in the film, which means they voice the main characters in the film. 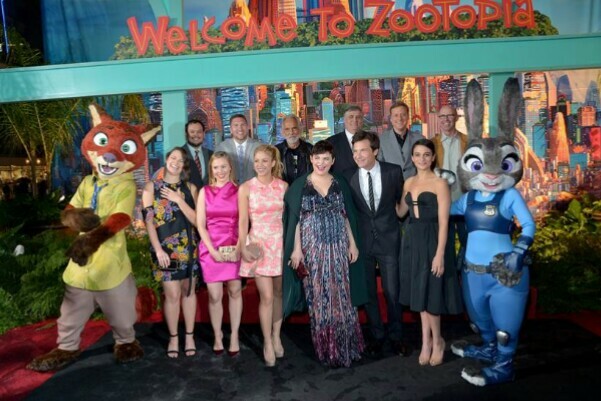 In the film, Judy (Ginnifer Goodwin), one of the only rabbits on the police force in Zootopia, tries to rise through the ranks of an ol’ boys club and make a difference in the world. Despite the film being made for kids, adults will also really enjoy this movie.